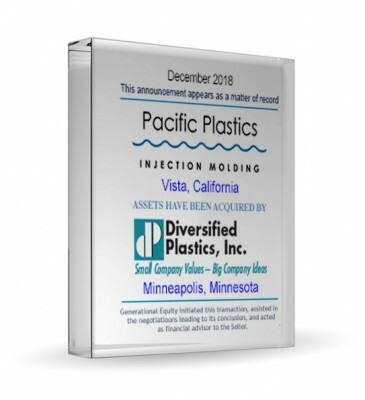 Generational Equity is pleased to announce the sale of its client's assets, Pacific Plastics Injection Molding (PPIM), to Diversified Plastics Inc. (DPI). The deal closed December 10, 2018. Generational Equity is pleased to announce a partnership between its client, Body Spa, Inc., and West Lane Capital Partners. The deal closed November 9, 2018. 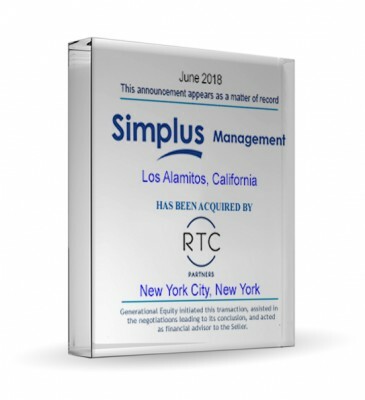 Generational Equity is pleased to announce the sale of its client, Simplus Management Corp., to RTC Partners. The acquisition closed June 29, 2018. 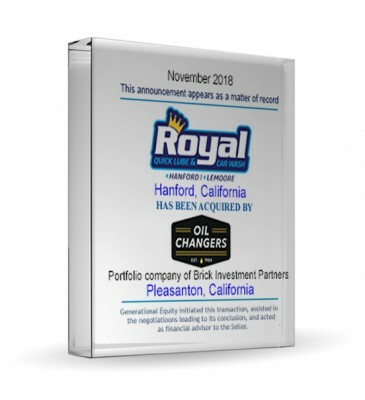 Generational Equity is pleased to announce the sale of its client, Royal Car Care Inc., to Oil Changers Inc., a portfolio company of Brick Investment Partners LLC. The acquisition closed November 28, 2018. 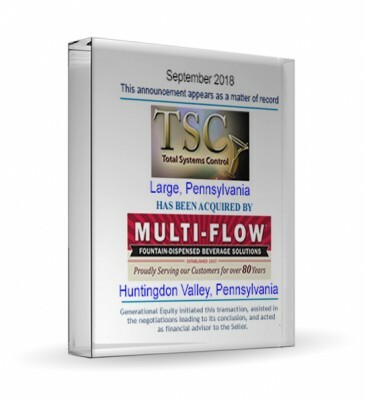 Generational Equity is pleased to announce the sale of its client, Total Systems Control Inc., to Multi-Flow Industries. The acquisition closed September 5, 2018.